Small firms are being starved of finance by the banks but peer-to-peer business lenders are step ping into the breach. According to the latest trends in Lending report, small firms continue to struggle to access cash from the banks. The Bank of England report showed that net lending to small and medium-sized enterprises (SMEs) through the Government’s Funding for Lending scheme (FLS) was down in the second quarter or this year, contracting by £400 million. It has been said that the FLS scheme is failing to benefit large firms too, with lending down to £3.9 billion to corporates in the three months to September 30. 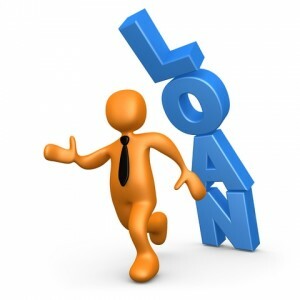 The FLS was launched to help banks release loans cheaply, mainly to SMEs. The fall has been less steep than in previous quarters, but reflects a continued lack of available finance for SMEs. According to the latest Credit Conditions survey, credit availability for small businesses has also fallen, with demand for credit now far outstripping availability. A recent report from the Federation of Small Businesses revealed that 52% of small firms now find the availability of credit “poor” or “very poor”, while around half of respondents state that credit is unaffordable. SMEs are increasingly turning to alternative forms of finance, as bank lending continues to fall. According to the most recent SME Finance Monitor – small firms are increasingly seeking out new forms of finance, the number using only bank loans, overdrafts or credit cards has declined by approximately 20%. Chairman of the National Association of Commercial Finance Brokers, added that banks must do more to support the UK’s growing businesses.